The Yankees will look to win their second consecutive game in the series against the Minnesota Twins. CC Sabathia, who was originally scheduled to start on Monday, will get the start tonight because it was decided that everyone in the rotation would get an extra day of rest. The Yankees won Monday’s game 8-7 in 10 innings as Chase Headley’s ground out to the shortstop scored Brendan Ryan for the game-winning run. Carlos Beltran’s homer to left that scored Greg Bird in the sixth inning tied the game at seven. That was Beltran’s third homer in his last four games and Bird’s pinch-hit double was his first hit at Yankee Stadium. Bryan Mitchell was unfortunately hit in the face by a line drive by Eduardo Nunez in the second inning, which forced the bullpen to pitch the final 8.1 innings. Mitchell walked off the field with the assistance of athletic trainer Steve Donahue, and Mitchell ended up coming away with a nasal fracture, which is better than it could have been given the circumstance. The bullpen will be shorthanded tonight since Chasen Shreve, Justin WIlson, Adam Warren, Dellin Betances and Andrew Miller all pitched during Monday’s game. The Yankees, who are now a game ahead of the Blue Jays since Toronto didn’t play last night, will send out a different lineup than normal tonight. Chase Headley will get the night off and Ryan will play third base. “I just felt Head could use a day,” Girardi said. “I gave him that day (in Cleveland) to try to give him two days because his legs were beat up, and I think he played eight innings that day. I just feel that he can use a day.” In 119 plate appearances with runners in scoring position this season, Headley has a line of .324/.370/.543 with 43 RBIs. Mark Teixeira, who fouled a ball off his right leg just below his knee during last night’s game, had X-rays last night that were negative. However, his further tests did reveal that he had a deep bone bruise. It could take a few days until he is back in the lineup. Bird, who has a .200 average in 10 at-bats, has been impressive at the plate so far even though he only has two hits. He has found the holes recently since both of his hits have come in his previous two at-bats. 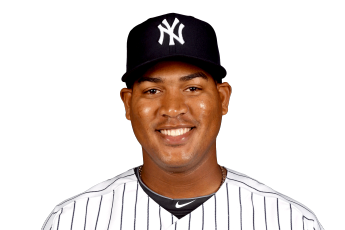 He will get the start tonight for Teixeira and is ready to play the next few games in case Teixeira is not able to. After being swept in the three game series by the Toronto Blue Jays over the weekend, the Yankees will play a three-game series starting tonight in Cleveland against the Indians. The eight consecutive wins by the Blue Jays has reduced the Yankees lead in the American League East to only 1.5 games. The Yankees offense will need to bounce back as they only scored one run in the three losses to the Blue Jays and in their last five games combined they have only scored a total of four runs. Brett Gardner and Jacoby Ellsbury, who are the table setters at the top of the lineup, are only hitting .182 and .129, respectively, in eight August games. That is part of the reason that the team has gone 3-5 in August after going 10-4 between July 17 and July 31. The pitching was somewhat surprisingly not the issue against Toronto’s high powered offense as the starters only allowed a combined seven runs in the three games. Nathan Evoaldi allowed one run on Friday, Ivan Nova allowed four runs on Saturday and Masahiro Tanaka allowed two solo homers on Sunday. The Yankees need Luis Severino, who will be making his second start tonight, to have the same kind of success that he had in his first start because winning the series in Cleveland is important. Severino could be even more effective than when he allowed one earned run (two overall) in five innings pitched against the Red Sox last week because he will not be making his MLB debut and he will be facing an office with less firepower. This could lead to him having fewer three ball counts than he did against Boston, which lead to him throwing 94 pitches by the end of the fifth inning. However, you can’t ask for much better than one earned run, two hits allowed and zero walks in five innings pitched in a major league debut. His fastball was electric (usually about 96mph), his changeup was effective and he used his slider as a strikeout pitch. Joe Girardi said that he is hoping for six innings out of Severino tonight. “He’s got a pretty good slider — he’s got a couple different ones — and he’s got a changeup,” Girardi said. What stood out to me was, he was able to make pitches in three-ball counts. It is important that the Yankees win at least two out of three games in this series because the Blue Jays will be playing the Oakland Athletics, who are in last place just like the Indians. Chase Headley will get the night off after playing in the team’s previous 24 games and Brendan Ryan will get the start at third. Here are the pitching matchups against the Indians, who are 51-59 and in last place in the AL Central. The Yankees play the Philadelphia Phillies at 1:05 p.m. in the final game of their three game series at Yankee Stadium. The Yankees have allowed an alarmingly high 22 runs in the first two games. Their starters, Michael Pineda and CC Sabathia, have combined to allow 14 runs in the previous two games, which is not a recipe for success. Ivan Nova will make his first start of the season after missing the first two months of this campaign and the last five months of last season due to Tommy John surgery. He had a 4.02 ERA in three minor-league rehab starts but is feeling healthy and ready to rejoin the rotation. In 2013, Nova pitched much better than he did during his four starts in April of last season as he pitched in 23 games, including 20 starts, and had 3.10 ERA with 116 strikeouts and 44 walks in 139.1 innings. Nova has been really looking forward to his return to the big league rotation. “This is like another dream,” the 28-year-old Nova said, comparing Wednesday’s start to his major league debut in 2010. “I can’t describe what is going through my mind.” His curveball (80mph) is has one of the best in the American League and his 93mph sinker is also effective. Mark Teixeira, who missed the previous two games due to a sore neck, is back in the lineup today batting cleanup. He adds another power hitter that the Yankees missed the previous two games. Teixeira’s 18 homers are tied for fourth in the American League and his 49 RBIs are also fourth in the AL. Jose Pirela is playing second base once again because Stephen Drew is on the paternity list. Brendan Ryan, who had only played in six games this season, was put on the 15-day DL with a right thoracic strain to make room on the roster for Nova. 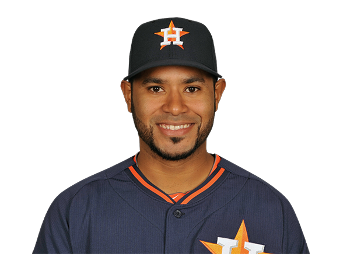 The Yankees acquired infielder Gregorio Petit from the Houston Astros on Wednesday for cash considerations. 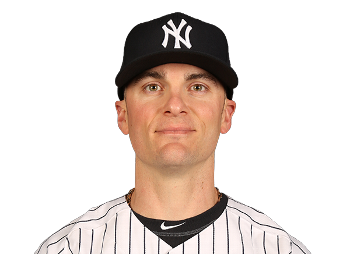 Brian Cashman was forced to do this because Brendan Ryan, who was supposed to be the back-up middle infielder going into the regular season, strained his right calf during Wednesday’s spring training game against the Tampa Bay Rays. This injury will lead to the light hitting infielder beginning the season on the disabled list. Rob Refsnyder, who had six errors during spring training, proved that he is not ready yet to play second base at the major-league level. He is definitely a prospect who could help the Yankees at some point this season or in 2016 based on his .357 average and six RBIs in 42 at-bats during spring training, in addition to the .318 average, 14 homers, 63 RBIs and nine steals he had in 60 games at Double-A Trenton and 77 games at Triple-A Scranton last season. However, he has only played second base for the last two seasons, so it makes sense that he needs more improvement defensively. Petit, who batted .278 with two homers and nine RBIs in 37 games with the Astros last season, is known as a plus defender and can play shortstop, second and third. He hit .297 with 10 homers and 43 RBIs in 85 games for Triple-A Oklahoma City before being called up to the Astros. He played on the Oakland Athletics in 2008 (14 games) and 2009 (11 games) and is a career .278 hitter. Petit proved that he has some power by hitting 10 homers in at Triple-A, and is an upgrade over Ryan offensively and an upgrade over Refsnyder defensively. His addition makes sense because he can reliably fill-in at multiple positions and will hit for a solid average. He is a solid stop gap until Ryan is healthy and gives the team options. Petit, who has played in 16 games at second base in his career, could also be a double play combo with Didi Gregorius, which means that there could be a Gregorius to Gregorio start of a double play. 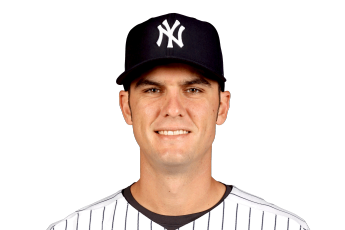 Brandon McCarthy pitching for the Yankees. The Yankees beat the Tampa Bay Rays 3-2 on Wednesday night during the last game of their three-game series at Tropicana Field. The Yankees got back in the win column after losing their last three games and five of their previous six. The three runs that the Yankees scored were as many as they had scored in their previous three games combined. Derek Jeter was 0-28 coming into the game but his hit in the sixth inning snapped his second longest hitless streak of his career. He scored what ended up being the game-winning run on Brett Gardner’s sacrifice fly to right. The Yankees scored their first two runs off of Rays starter Alex Cobb in the fifth inning. After being hit during Tuesday’s game, Chase Headley hit a double to deep center that scored Chris Young. Then, Brendan Ryan who usually doesn’t hit for much power, hit a ground rule double that landed near the foul pole in right to score Headley. 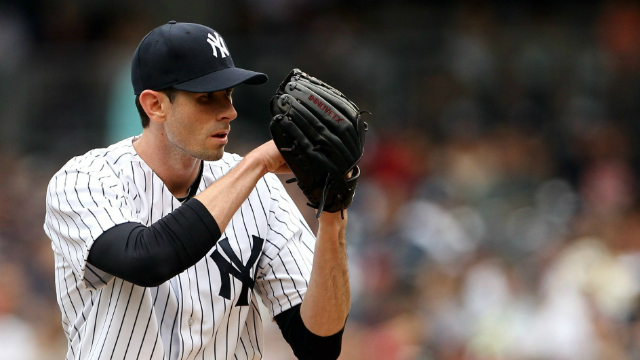 Brandon McCarthy had yet another dominating start for the Yankees. He pitched seven impressive innings, only allowed two runs and picked up four strikeouts. Evan Longoria was the only Ray that did damage off of McCarthy. He hit a solo homer in the first and had a RBI ground out in the sixth. In the seventh inning, McCarthy wrapped up his start with an “immaculate inning” that included recording three strikeouts on only nine pitches. This feat is very rarely seen in baseball and was a great way to conclude his dominating performance. 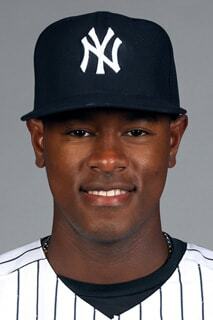 He has proven that the Yankees should make every effort to bring him back next season. Joe Girardi has been impressed with how McCarthy has been pitching. McCarthy, who had struggled before being traded to the Yankees but had excelled in 2011 and 2012, has now allowed two runs or less in seven of his last nine starts. He needed only 91 pitches to get through seven innings and had 12 ground ball outs and eight fly ball outs. The other pitching highlight from this game was that Dellin Betances, the flame throwing set-up man who was born in Washington Heights, recorded his 131st strikeout of his season. 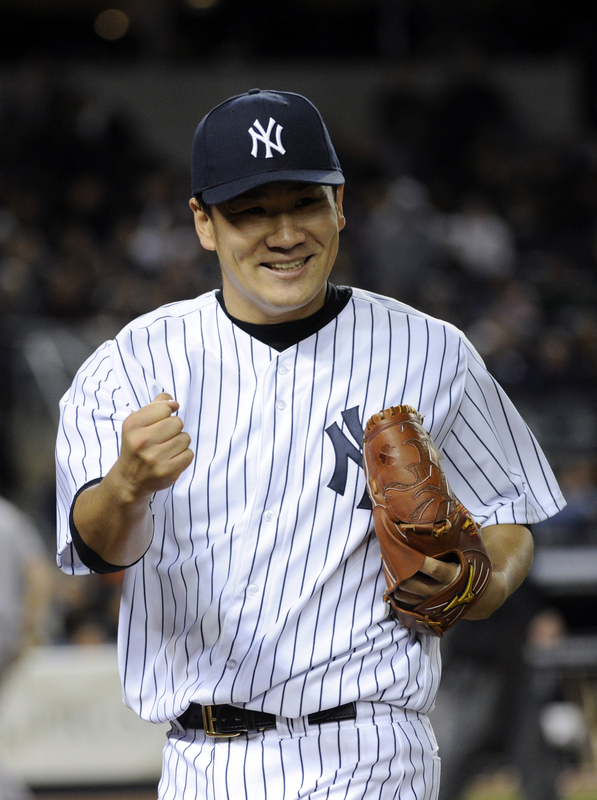 In his first full major league season, he set the record for most strikeouts in a season by a Yankee reliever. Future Hall of Famer Mariano Rivera previously set the record with his 130 strikeouts in 1996. His knee buckling slurve and 99 MPH fastball has led him to a dominating 1.33 ERA. The Yankees won Derek Jeter’s final game at Tropicana Field after David Robertson got Nick Franklin to strike out swinging to end the game. Robertson picked up his 37th save of the season, which is the third best save total in the American League. Young, who scored the Yankees first run, should be brought back as a fourth outfielder if he is willing to take a discount. His average on the season is .219, but since his first game with the Yankees on September 2, he has hit .324 in 34 at-bats with three homers and eight RBIs. The Yankees and Blue Jays will begin a four-game series at Yankee Stadium on Thursday night at 7:05 p.m. Rookie Shane Greene (5-3, 3.56 ERA) will get the start for the Yankees and the veteran knuckleballer R.A. Dickey will get the start for Toronto.